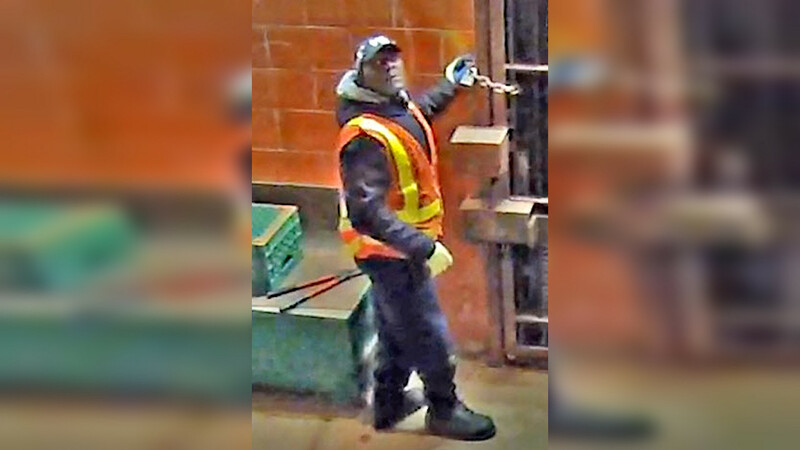 NEW YORK (WABC) -- The NYPD released surveillance images of a man wanted for at least two burglaries in the subway. Police say the suspect used bolt cutters to break into a utility room at the 9th Avenue Subway Station in Brooklyn twice. Both times he stole several power tools. The suspect was last seen wearing a dark colored hooded jacket, dark colored pants, dark colored baseball cap, dark colored boots and an orange and yellow work vest.